Margaret Beauchamp (c. 1410 – before 3 June 1482) was the daughter of Sir John Beauchamp, de jure 3rd Baron Beauchamp of Bletsoe, and his second wife, Edith Stourton. She was the maternal grandmother of Henry VII. Margaret Beauchamp, born about 1410, was the daughter of Sir John Beauchamp, de jure 3rd Baron Beauchamp (d. 1412–1414) of Bletsoe, Bedfordshire, and his second wife, Edith Stourton (d. 13 June 1441), daughter of Sir John Stourton of Stourton, Wiltshire. In 1421 she became heiress to her only brother, John Beauchamp, who died young and unmarried, from whom she inherited the manors of Lydiard Tregoze in Wiltshire, Ashmore in Dorset, and Bletsoe and Keysoe in Bedfordshire, and, according to modern doctrine, the right to any barony of Beauchamp created by summons to Parliament directed to her great-great-grandfather, Roger Beauchamp, 1st Baron Beauchamp (d. 3 January 1380) of Bletsoe. Sir John St John (d. 1513/14) of Bletsoe, who married Alice Bradshagh, daughter of Sir Thomas Bradshagh, of Haigh, Lancashire. Oliver St John (d. 1497), esquire, of Lydiard Tregoze, Wiltshire, who married Elizabeth Scrope, widow successively of Sir John Bigod (d. 1461) of Settrington, Yorkshire, and Henry Rochford (d. 25 October 1470), esquire, of Stoke Rochford, Lincolnshire, and daughter of Henry Scrope, 4th Baron Scrope of Bolton, and Elizabeth le Scrope, daughter of John Scrope, 4th Baron Scrope of Masham. Edith St John, who married Geoffrey Pole, esquire. Mary St John, who married Sir Richard Frogenall. Elizabeth St John (d. before 3 July 1494) who married firstly, before 2 April 1450, as his second wife, William la Zouche, 5th Baron Zouche (d. 25 December 1462) of Harringworth, and secondly, before 10 December 1471, as his second wife, John Scrope, 5th Baron Scrope of Bolton (d. 17 August 1498). Agnes St John, who married David Malpas. Margaret St John, Abbess of Shaftesbury. Lady Margaret Beaufort, Countess of Richmond and Derby, who married Edmund Tudor, 1st Earl of Richmond, by whom she was the mother of Henry VII. John Welles, 1st Viscount Welles, who married Cecily of York, the daughter of Edward IV of England. She is buried with her second husband at Wimborne Minister in Dorset. Margaret Beauchamp figures prominently in the 2010 Philippa Gregory novel The Red Queen, and was played by Frances Tomelty in the 2013 television adaptation The White Queen. Gregory also includes Beauchamp in her 2011 prequel novel The Lady of the Rivers. ^ Richardson III 2011, p. 473. ^ Richardson III 2011, pp. 470–75. ^ Cokayne 1912, pp. 44–5. ^ a b c d e Richardson III 2011, p. 475. ^ Richardson III 2011, p. 478. ^ Richardson III 2011, p. 476. ^ Richardson III 2011, p. 477. ^ a b Richardson IV 2011, p. 305. Cokayne, George Edward (1912). The Complete Peerage, edited by Vicary Gibbs. II. London: St. Catherine Press. pp. 44–5. Richardson, Douglas (2011). Everingham, Kimball G. (ed.). Magna Carta Ancestry: A Study in Colonial and Medieval Families. III (2nd ed.). Salt Lake City. ISBN 1449966381. Viscount Bolingbroke is a current title in the Peerage of Great Britain created in 1712 for Hon. Henry St John. He was simultaneously made Baron St John, of Lydiard Tregoze in the County of Wilts. Since 1751 the titles are merged with the titles of Viscount St John and Baron St John in the same Peerage. Reginald West, 6th Baron De La Warr and 3rd Baron West was an English nobleman. Oliver St John of Bletsoe, 1st Baron St John of Bletso was an English peer. He was the son of Sir John St John of Bletsoe and Spelsbury and his first wife Margaret, the daughter of Sir William Waldegrave. His paternal great-great-great-grandfather Sir Oliver St John of Bletsoe, Spelsbury and Lydiard Tregoze was the husband of Margaret Beauchamp of Bletso, great-great-granddaughter of Roger de Beauchamp, who was summoned to Parliament as Baron Beauchamp of Bletso from 1363 to 1379. Since then that title had not been assumed, although St John was considered to be the line of heir. On 13 January 1559 he was raised to the peerage himself as Baron St John of Bletso, in the county of Bedfordshire. Sir George Villiers was an English knight and country gentleman. He was a High Sheriff of Leicestershire for the year 1591, and later was briefly a Knight of the Shire, a Member of Parliament representing the county of Leicestershire. 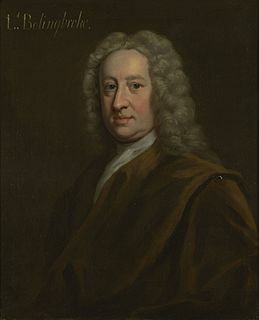 Sir John St John, 1st Baronet of Lydiard Tregoze in the English county of Wiltshire, was a Member of Parliament and prominent Royalist during the English Civil War. He was created a baronet on 22 May 1611. Lydiard Tregoze is a small village and civil parish on the western edge of Swindon in the county of Wiltshire, in the south west of England. It has in the past been spelt as Liddiard Tregooze and in many other ways. John Scrope, 5th Baron Scrope of Bolton, KG was an English Yorkist nobleman. John Seymour of Wulfhall, of Stalbridge, of Stinchcombe and of Huish, all in Wiltshire, England, was warden of Savernake Forest and a prominent member of the landed gentry in the counties of Wiltshire, Somerset and Dorset. He was the grandfather of Queen Jane Seymour, the third wife of King Henry VIII, and was thus great-grandfather of King Edward VI.